“Yesterday I was crucified with Him; today I am glorified with Him; yesterday I died with Him; today I am quickened with Him; yesterday I was buried with Him; today I rise with Him. But let us offer to Him Who suffered and rose again for us— you will think perhaps that I am going to say gold, or silver, or woven work or transparent and costly stones, the mere passing material of earth, that remains here below, and is for the most part always possessed by bad men, slaves of the world and of the Prince of the world. 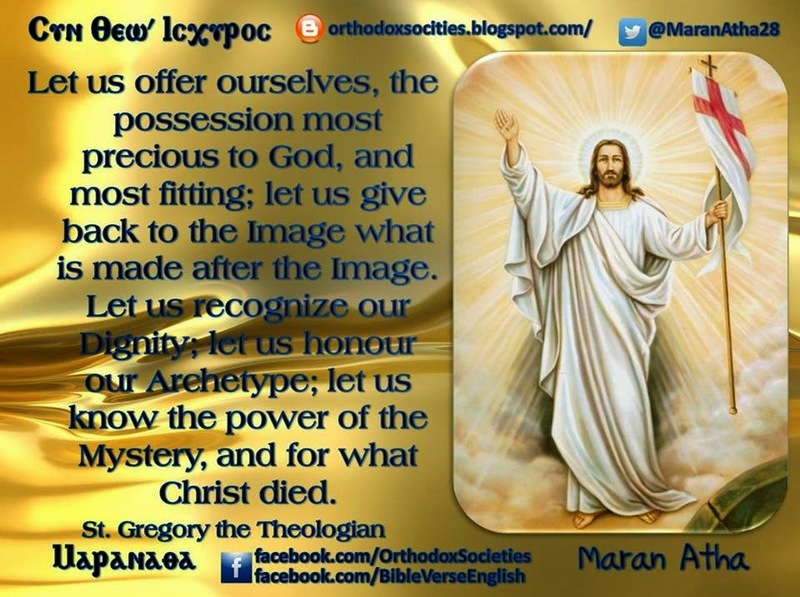 Let us offer ourselves, the possession most precious to God, and most fitting; let us give back to the Image what is made after the Image.